The Ministry of Labour has expressed confidence that orders in the garment industry will increase next year due to improved working conditions and the introduction of a higher minimum wage for the sector. 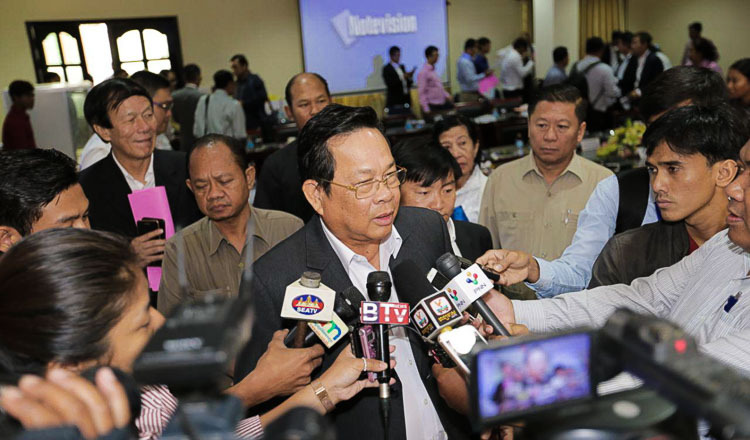 Minister of Labour Ith Samheng said foreign purchasers were satisfied with what Cambodia had achieved when it comes to worker welfare and expects orders to increase in 2018. The remark was made after a meeting on the minimum wage, working conditions, and legal framework procedures for the garment industry attended by representatives of the ministry, the Ethical Trading Initiative, buyers and sourcing agents. “The meeting today was fruitful, and the parties are happy to receive real information from Cambodia. We expect purchasing orders in the garment sector in 2018 to be higher than in 2017, and hope our garment sector will continue to progress,” Mr Samheng said. The minister did not say the exact percentage by which he expected the number of orders to increase, but said buyers were discussing the issue. “I believe that they are good trading companies. They will work together to help and increase purchasing orders from Cambodia,” Mr Samheng said. Peter McAllister, executive director of the Ethical Trading Initiative, said there was a lot of room for progress in the garment sector and many opportunities for the government and buyer companies to work together towards a better future for the industry. “There is now a stable environment, a good relation between players in the industry. Cambodia certainly has a great future for securing great business and great industry investment,” McAllister said. Mr Samheng said Cambodia would continue working closely with national organisations and international partners like the International Labour Organisation, the Global Deal Initiative, and GIZ to guarantee Cambodian garment and footwear products followed strict standards of quality and adhere to international good practice when it comes to workers’ rights. 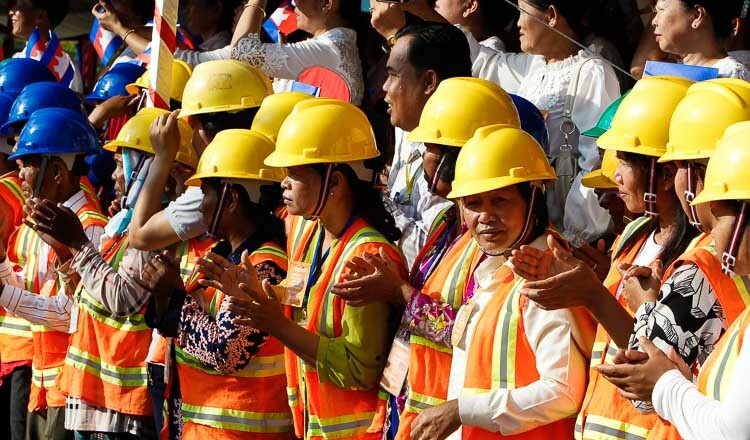 After months of negotiations, the minimum wage for garment workers in Cambodia was recently raised to $170, with the new law coming into effect early next year.